Welcome to smokemachines.com by Concept Smoke Systems. A Smoke Screen security is the ultimate weapon against burglary and criminal damage. It protects your property by releasing thick obscuring smoke that hides valuables and disorientates the intruder. The ViCount and Vulcan fog machines create an oil based fog which evaporates much slower than water-based fog. For example, in a tunnel test, the fog from a ViCount travels 1000’s of meters, compared to a typical water-based fog machine that may produce an effect which will stay visible for just 100 meters. Just one ViCount can replace 10 or more conventional water-based fog machines. SmokeMachines.com is the US website for Concept Smoke Systems Ltd.
Concept Smoke Systems Ltd is a specialist manufacturing firm based in the UK, first established in 1965. Now, over 50 years later Concept Smoke Systems are regarded as the premier fog machine provider for the Fire, Simulation, Military, Security & Scientific marketplaces. Listening to your exact requirements Concept Smoke Systems will be able to recommend the most suitable fog machine for your application. If an off the shelf solution doesn’t exist Concept Smoke Systems have a dedicated research, design & development team that can take your specification and turn it into a bespoke fog solution. As well as quality pre-sales technical assistance Concept Smoke Systems offer class leading product support. Every mains powered fog machine manufactured by Concept Smoke Systems comes with a minimum of a 5 years parts warranty and lifetime heat exchanger block guarantee. Concept Smoke Systems also have an authorized servicing / maintenance hub located in the US. With more than 50 standard fog machines available and an extensive collection of bespoke fog solutions, Concept Smoke Systems will be able to help. 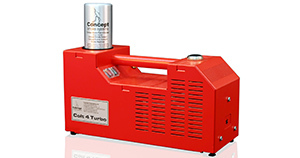 The Colt 4 Turbo fog machine is one of the most powerful, handheld fog generator available today. It was specifically designed for fire training but will suit any application where an extremely robust, portable fog machine is required. 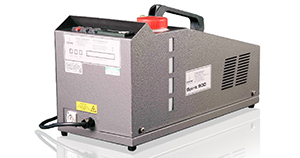 The Spirit 900 fog machine is designed to continuously deliver a high output of thick non-toxic persistent smoke. The continuously rated pump and precision machined heat exchanger mean the Spirit 900 fog machine is perfect for heavy duty industrial use. 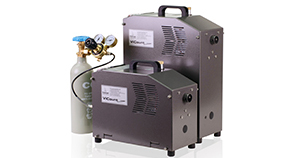 The ViCount oil based fog machine is one of the most capable fog machines on the market. It creates a fog that is resistant to temperatures of up to 200°C and uses a fraction of the fog chemical to achieve a given effect when compared to water based fog machines—making it the perfect training accessory for heavily used / hot fire training centres.